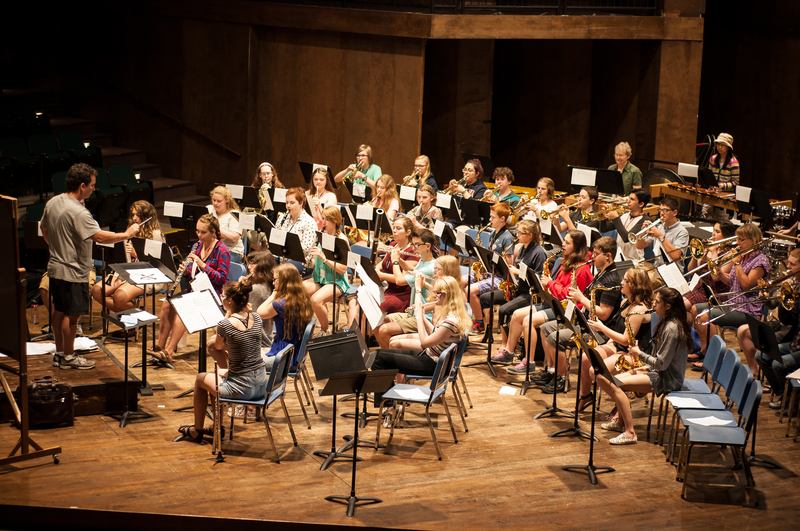 Our Summer Music Academy is a one-week concert band camp that provides an exciting program of daily classes and rehearsals along with a full program of recreational and social activities, including concerts, movie night, swimming, a variety show, a dance, and more. Talented and dedicated instructors ensure that you will leave Acadia having enjoyed the week and having made significant personal progress with your instrument and musicianship. All concert band instrumentalists, beginner to advanced, youth or adult, are welcome to attend. We have a spot for you! The Summer Music Academy provides exciting opportunities for all students, from the young instrumentalist to the advanced player. Daily group lessons on all wind and percussion instruments are complemented by full band rehearsals. Several levels of concert bands ensure that you receive a challenging and rewarding experience. Experienced players will also have opportunity to play in small chamber groups and/or prepare solo work with a collaborative pianist. The week concludes with a final concert on Sunday afternoon that is open to family, friends, and the public. Our outstanding faculty of professional musicians includes Acadia School of Music faculty, as well as exceptional music teachers from across the Maritimes. In 2019, we are thrilled to welcome Amy Knopps to campus as our Guest Conductor. Amy comes to us from the University of Missouri - Columbia and she will work with our Maritime Youth Wind Ensemble this summer. Students will arrive for registration on Monday afternoon. Band placement auditions will take place Monday evening beginning at 6:30pm. Players should bring a piece of music to play for faculty members (select a piece that highlights your playing ability) and be prepared to play scales of your choice and to sight read a brief selection. Please also remember that there is an opportunity to perform a solo work in the chamber ensemble concert or before the final band concert. If you would like to take advantage of a solo performance opportunity please bring the piano part with you to camp. Beginners will not be required to do a placement audition, but will meet for their first class at this time. Is your instrument new to you? The Beginner Band is a great place to start. You will begin with the basics of music and by the end of the week, you will be playing with an entire band. Level: You should be new to your instrument and be at least 10 years old. If you have played another wind instrument, and are switching to a new instrument, you may be considered for the next level. These bands will explore concepts including proper play position, tone, tonguing, ensemble playing, phrasing, breathing and basic theory. 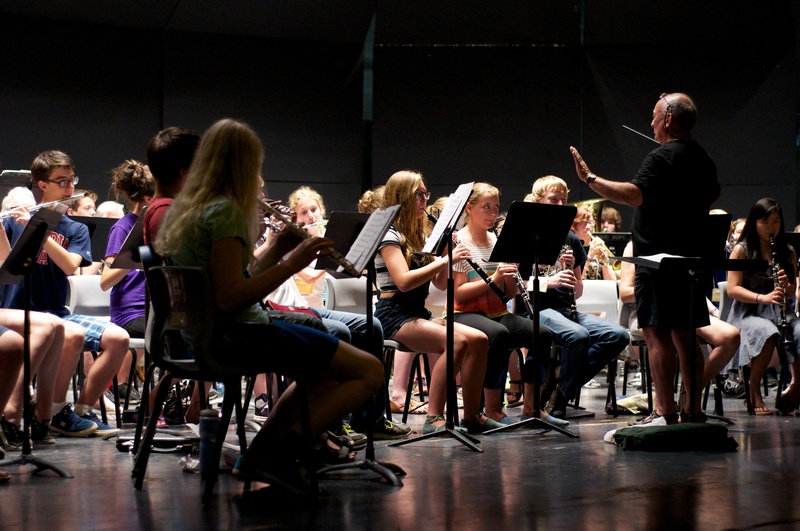 Students will enjoy unique and demanding rehearsal procedures and performance expectations. Generally speaking, these players will have one to three years of playing experience. 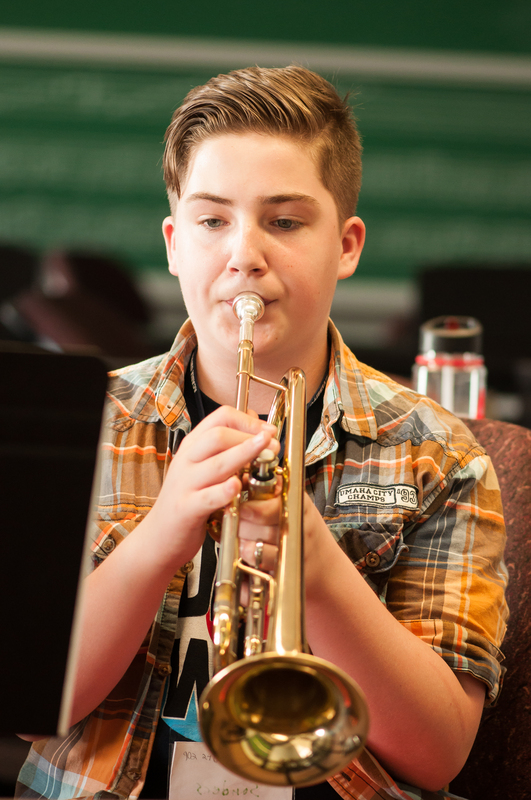 Level: Students placed in the Ron MacKay band will be performing music at the grade 1 - 2 level and members of the Wilf Harvey Band will be playing grade 2 - 3.5 music. This high-level opportunity is for players who hunger for a rich, in-depth learning experience. The repertoire will be chosen from the finest literature available, selected and conducted by our guest conductor. A professional pianist is on-hand to coach solo works and to help in performance preparation for exams, university auditions, or other performing opportunities at the camp. In 2019, we are thrilled to welcome Amy Knopps to campus as our Guest Conductor for the MYWE group. Amy comes to us from the University of Missouri - Columbia. Level: MYWE is for players seeking a superior wind band experience (woodwind, brass, percussion, and string bass players). These players will be comfortable with B400 music and have four or more years of playing experience.